In 2012, U.S. shopping-center retail sales totaled more than $2.4 trillion, accounting for half of all retail sales in the U.S. In the face of increasing competition from cheap and convenient online retail, shopping malls are holding on. They continue to be one of the main places that people around the globe go to shop, but how much of the market share they’ll be able to keep remains to be seen. In order for shopping malls to continue to compete with the online shopping experience, they will need to keep up with the social technologies that currently enhance and promote the online shopping experience. Going to the mall has always been a social activity, in a way that sitting in front of a computer and shopping online is not. Malls can capitalize on this advantage by investing just a little time and money into technical innovations that integrate the online social experience with the in-person social experience of shopping at a mall. Here are six great ways that malls can take advantage of social hub technologies to generate revenue and get buyers in their stores, again and again. “In-line” advertising is all the rage. And it should be! Consumers are jaded by traditional advertising and more wary than they used to be. A commonly cited statistic estimates that the average consumer sees a whopping 5,000 ads per day. Even the most conservative estimates put that number between 300 and 700 ads per day. No wonder traditional ads – like billboards or backlit posters are less effective than they used to be. Making advertisements as subtle and seamless as possible is where the money is. Twitter and Facebook have both started capitalizing on this effective form of advertising by integrating “promoted tweets” or “boosted posts” in with their news feeds. Mall owners should be taking advantage of this by offering a new advertising option in their malls – the ability to mix small ads with organic social posts from shoppers, which naturally attract a lot of eyeballs. Malls can offer this valuable advertising space to their stores or sell it to other organizations, just like traditional mall advertising space. 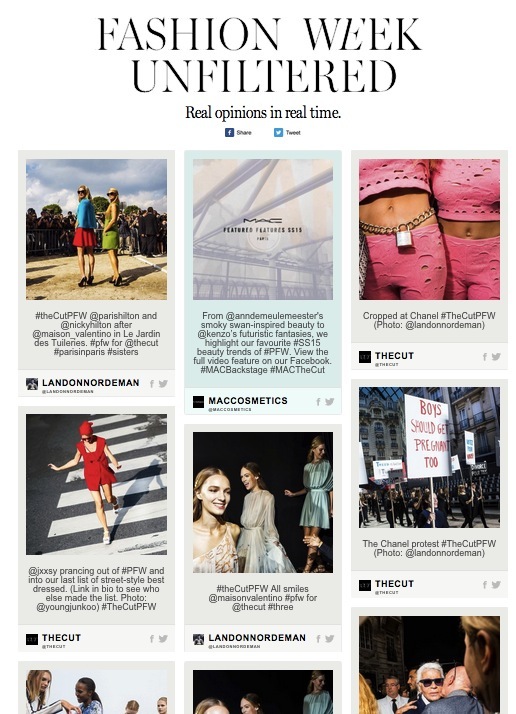 New York Magazine’s The Cut used Tint to create a social hub on their website during fashion week. They expertly integrated advertising for Mac Cosmetics by pulling in all of Mac’s social posts along with the posts of The Cut’s own reporters. 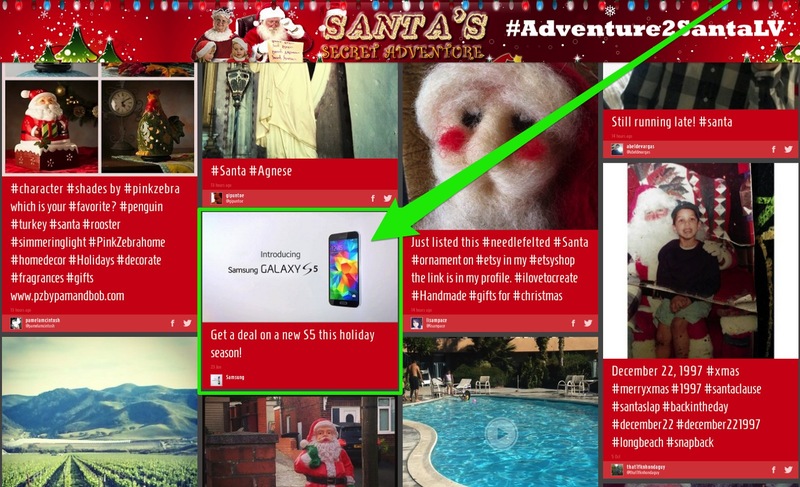 Mac social posts were subtly highlighted in green. Above, you can see one of the integrated posts in the center of the top row. While many of the posts were images, this one happens to be a video. Bonus points for multimedia! Though The Cut featured this social hub on their website, malls should take social hubs into the real world by displaying them on screens in the physical retail space. Malls can get shoppers in the doors of their stores and generate social buzz at the same time by running a hashtag contest. Stores can offer a sweepstakes prize (anything from a free tote bag to a free T.V.) for one person who uses their hashtag in the next hour. Tweet at the winner, and let them know that they can pick up their prize in store. Add a twist by limiting what tweets are pulled in to your social hub by location – only those who have checked in at your mall can participate. Or run a longer contest: Offer a mall-wide gift card for whoever makes the best 30-second video (on vine, perhaps?) about why they love to shop at your mall. 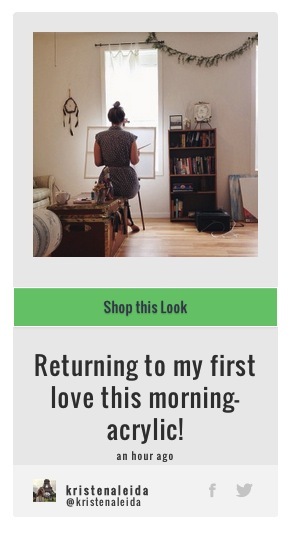 Let your shoppers create your content for you, and enjoy the social media love. Display this content anywhere you like – whether that’s a continuous stream of video on giant screens in your mall, or a waterfall of vine videos populating your website. La Palerma Mall in Corpus Christi Texas uses Tint to run hashtag sweepstakes across all platforms (Facebook, Twitter & Instagram). 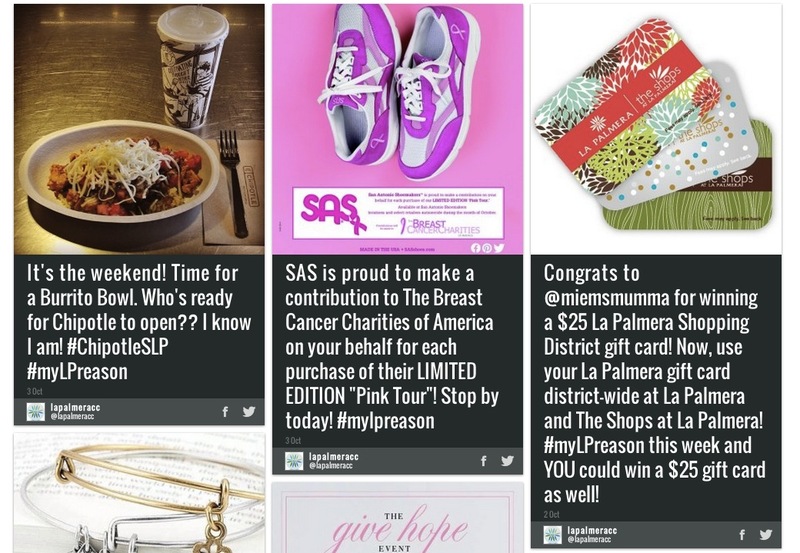 They give away a $25 gift card to La Palmera Shopping District once a week, to encourage a continuous stream of social media chatter centered around the hashtag #myLPreason. 3. 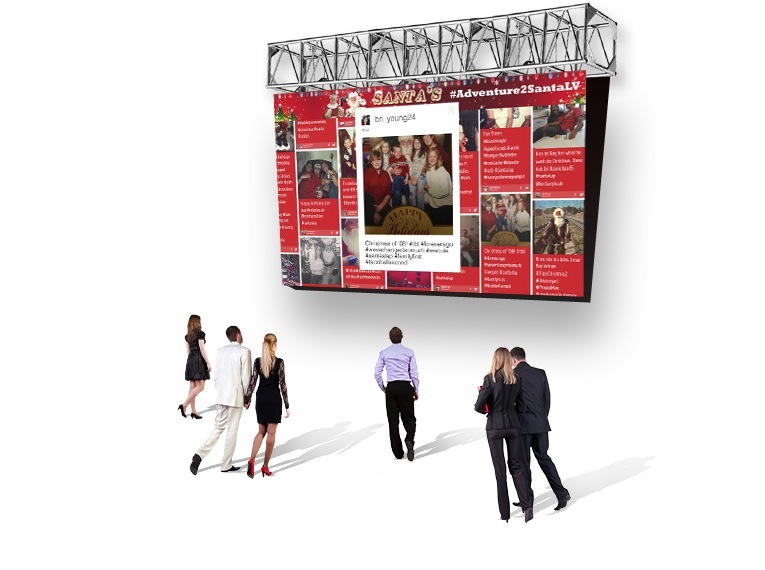 Get shoppers to share how much they love your mall on social media, by engaging them with enormous screens in central mall locations. The key idea here is that incentivizing your audience to make social posts has a dramatic ability to increase social media engagement. Encourage shoppers to post pictures of themselves having a good time at the mall along with a dedicated hashtag, in order to see their picture on big screens in central mall locations. The bigger the screen, the better. Is Santa visiting your mall for Christmas? Are you running an easter egg hunt? Is a school choir performing? Pull in a specialized hashtag for the event (example, #HipsterSanta) and encourage event attendees to share their pictures on social with that hashtag for a chance to see it on the big screen. Your events will be that much more engaging and exciting, not to mention the promotional boost from making some noise on social media. 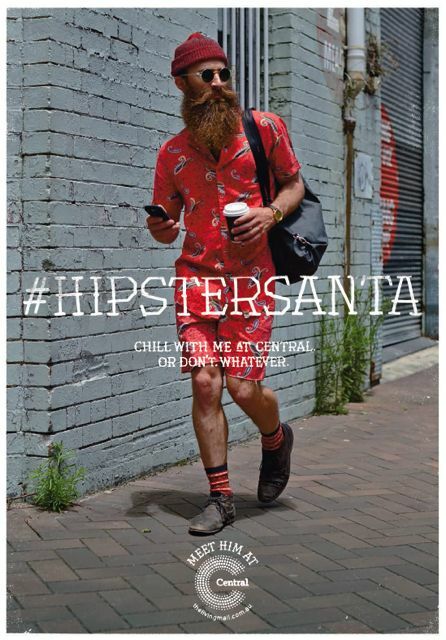 Central, an off-beat shopping location in Central Park, already had a hashtag to go along with their quirky mall santa. 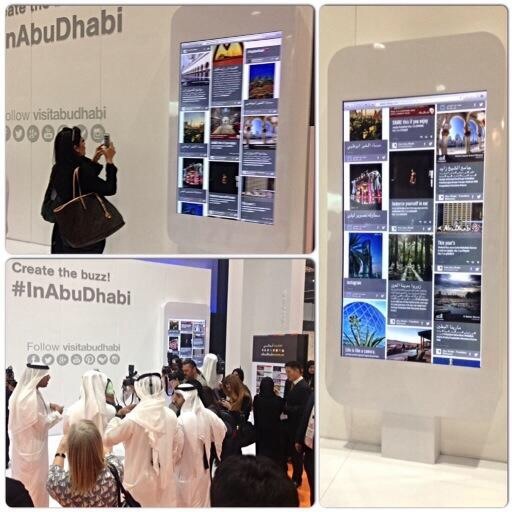 A social hub to pull all the user-generated content related to their hashtag would have been a wonderful way to maximize on such a creative idea. It can be hard to maintain a meaningful online presence for a shopping mall. Malls need a website to list the hours they are open and help curious potential shoppers figure out what they have to offer. But Mall websites often have an abandoned feeling to them – they need fresh content that reassures visitors to their website that the mall does, in fact, still exist, and so do all the stores within. A mall website should be as hip and up-to-date as the goods in their stores. If a mall is already pulling in hashtags and social media content for displays in the physical mall it makes sense to embed it on the mall homepage as well. La Palerma pulls in their own social channels from Facebook, Twitter, Instagram, and Pinterest, along with their YouTube channel, which features videos from shoppers explaining “My LP Reason” for shopping. This ties in with their hashtag campaign #MyLPReason. Ideally, La Palerma wouldn’t have paid anyone to make all those videos – they could be Vines, created and shared by the shoppers themselves. Cheaper than a T.V. spot, and more valuable too. Though La Palerma did not use the social hub to pull in Vines, they are using it very effectively to keep their website looking new. 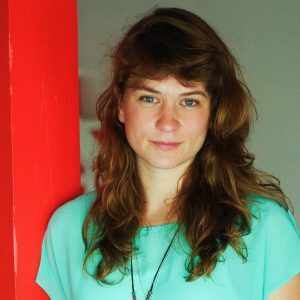 They are already generating content for social media, so a social hub lets this do double-duty as fresh website content. Embedding a social hub on your website allows you to take advantage of interactive features, like a Call-to-Action button, which can urge users to “Click to learn more,” “Click to shop now,” or “See more social posts from this store.” Malls should take advantage of this by linking back to the specific social media channels for stores, or directing users to a special events page. Mall owners can give or sell Tint to their stores. 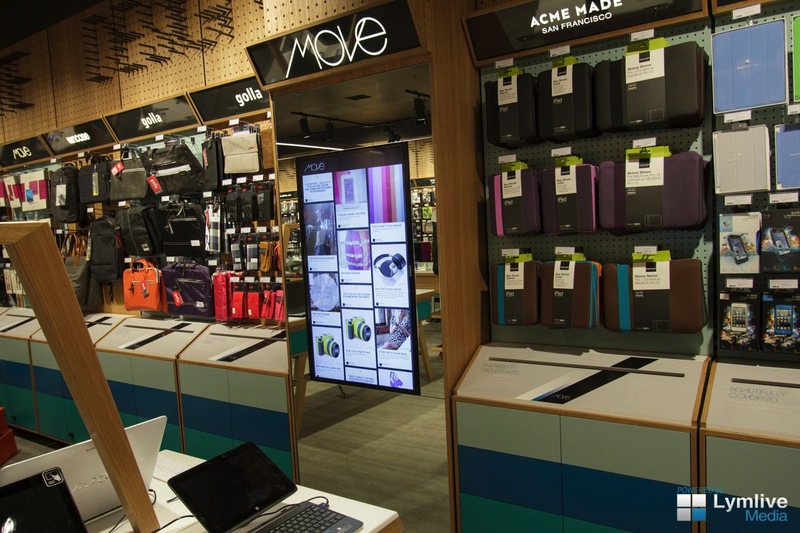 This will help stores engage shoppers with in-store screens, showcasing real people using and talking about their products on social media. For example, a clothing store like Forever 21 could pull in hashtag #EndlessSummer, showcasing customers from anywhere in the world that enjoy their brand and use their hashtag. It’s an indirect Word-of-Mouth recommendation, which is deeply valuable when trying to sell a product. 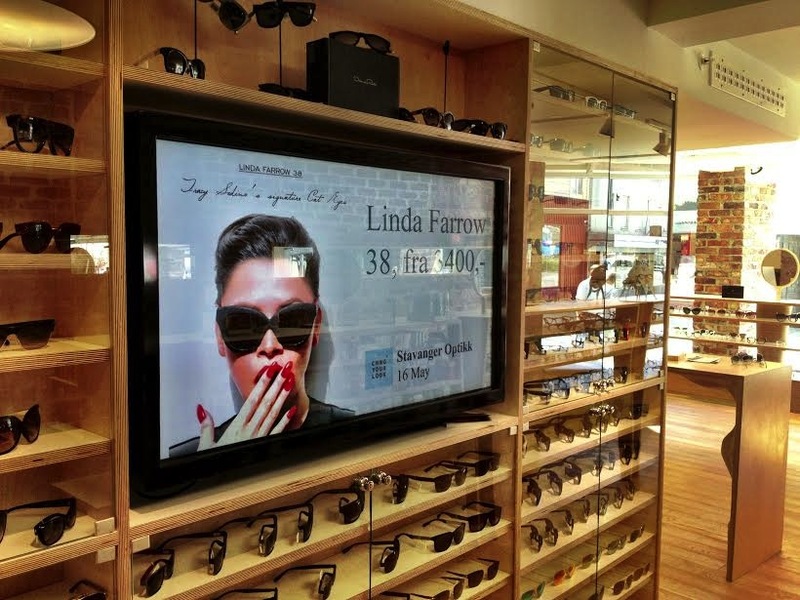 Connecting shoppers with your stores through social media is a powerful thing to be able to do. If you are a mall owner, these six ideas should get you started. Think of another way to take advantage of social hub technologies? We’d love to hear from you in the comments below. If you want to learn more about using TINT at your retail location, schedule a free strategy session with our product specialist!